You&apos;ve heard the saying, "Everything is bigger in Texas." Here in Beaumont, we hold that to be true. 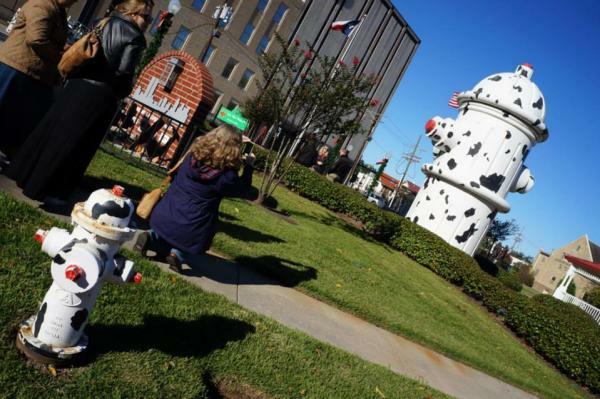 So when the kids are itching to get out of the car, make a stop here in Beaumont for these family-friendly roadside attractions. Located at Interstate 10 Exit 838 at Gator Country. If you&apos;re coming or going, it&apos;s likely you&apos;ll be traveling on Interstate 10, which is where you&apos;ll find Beaumont&apos;s 135-foot alligator, Big Beau. Beau welcomes travelers to Beaumont as well as Gator Country Adventure Park, his home. Both are worth a stop. Take IH-10 Exit 838 for an experience you won&apos;t forget. Located in downtown Beaumont at the Fire Museum of Texas. Take exit 855A. Another must-see while in Beaumont, is the 24-foot fire hydrant located in downtown at The Fire Museum of Texas, IH-10 Exit 855A. This Dalmatian-spotted Hydrant is a favorite among kids and a great place to stop for a family photo. One of only four in Texas, Happy can found off 11th Street, Interstate 10 exit 851. 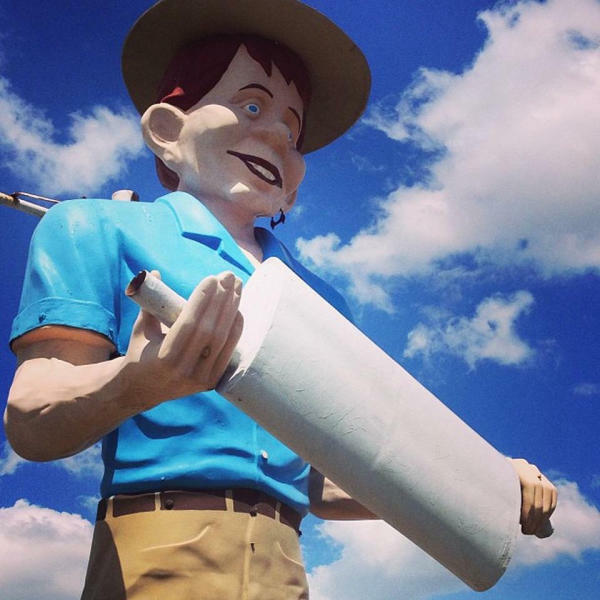 Famous in the world of roadside attractions, Beaumont is also home to a Happy Half Wit Muffler Man. He stands about 25 feet in height and can be found at Ken&apos;s Mufflers on 11th Street, IH-10 Exit 851. Just off Hwy 69 at the Highland Avenue Exit on the campus of Lamar University. 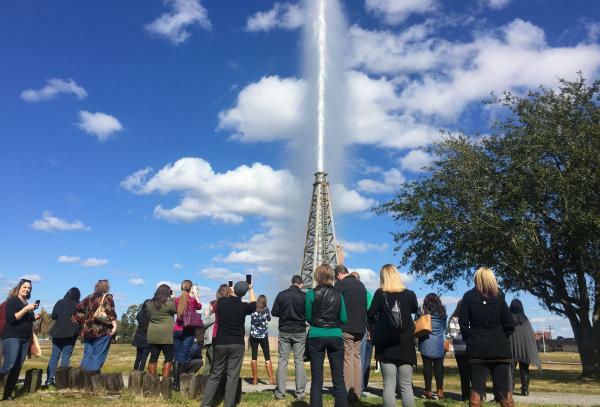 We also recommend you make a stop to see the Lucas Gusher Replica at Spindletop-Gladys City Boomtown Museum on the campus of Lamar University, Hwy 69 Highland Avenue Exit. This working replica gusher blows water hundreds of feet into the air, much like on that fated day when the Lucas Gusher struck oil over 100 years ago. Be sure to check the Gladys City website for a current schedule of the gusher re-enactment and other special activities. Find more things to do with kids here.